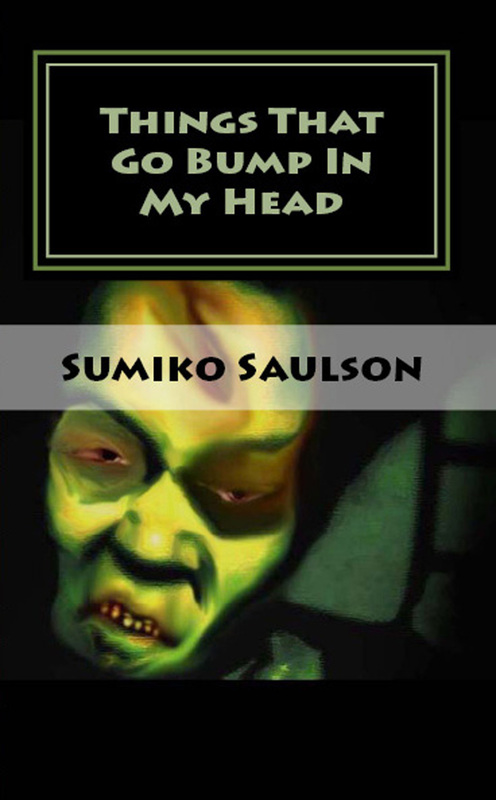 When you enter to win a signed paperback edition of “Things That Go Bump In My Head” on my Facebook page, you qualify to receive a free eBook copy just for liking my page and entering the contest. Then click on the “Enter Giveaway” tab (or button) at the top of the page to enter. When you get to the page where it says Agree to Terms & Conditions read it carefully. The instructions on how to get your free eBook copy (which you are eligible for now that you have entered the contest, just for entering) can be found in the Terms & Conditions. But you WILL need a coupon code to get it for free. I couldn’t get enough reading this book! Dead Horse Summer might just be one of my favourites, but I absolutely adored each story. I’m torn on suggesting paperback or ebook, because paperback is great so that you can have it on you as part of the amazing Sumiko Saulson collection (such as her books Warmth, Solitude, and many others) but if you go with ebook you can purchase the entire collection! Agrippa was another great story here, but there are actually too many for me to name!!! Every now and again, when I close my eyes at night, I get a chill as a part of one of her stories randomly pops into my head. It’s also quite obvious that Miss Saulson is extremel well-read, as some of her stories make me feel as if my own IQ has gone up a bit merely because of the fact that she alludes to some of the classics that I should have read, but never got around to it. I also love how she puts a woman’s voice to the horror arena, something that isn’t often seen, and depicts something other than the blond-hair-blue-eyed population that seems to only exist on-screen and as main characters in most horror stories (not to mention varied avenues of popular media). A Must-Have for the horror lover! I am pleased to say that Sumiko Saulson is def. on my read more of her work list. I have to say that the collection of stories in this book is not what I thought. In fact the first story, A LIFE OF HER OWN is absolutely heart wrenchingly sad. I did not expect that story to be in this book based on the synopsis let alone be the first story to open the collection. It was haunting as it was sad, and it stuck with me. Much of the stories in this book I feel are a great introduction to this authors style. AGRIPPA is a great human vs. technology story. It has a very Harlan Ellison feel to it which I love. Saulson taps into the very paranoia’s of the human minds and weaves a deep, thought provoking, often poignant delivery. COMPANY is a wonderful example of how in one story, the main character goes through being complacent as the owner and basic proprietor of the town, then realizing how badly she doesn’t want to be the one responsible for the dead end town (literally) and knowing she wants to do more with her life. She finds hope and then her dreams of leaving are promptly shattered as quickly as they were developed. It’s this ability to show the human race’s desperation for more, be it for one’s self, for the growth of technology or just the desperation of trying to stay sane that makes these stories stick with you. ATTEMPTED HAPPINESS is a disturbing yet at times comical unconventional story of revenge and the battle to maintain one’s sanity. I loved this story quite a bit. Saulson also includes some of her poems in this book which I found to be rather funny. WHAT’S UP ON VICKSBURG and ZOMBIE HAIKU gave me a laugh, and her poem KILLER ROMANCE is the perfect example of how I always say that the grass isn’t greener on the other side, you just have to spend some time tending to your OWN yard. All in all, I very much enjoy this woman’s work. I love what her stories stand for and I love the voice in which she tells them. Very happy to have received this book. ~ by Sumiko Saulson on November 17, 2013.